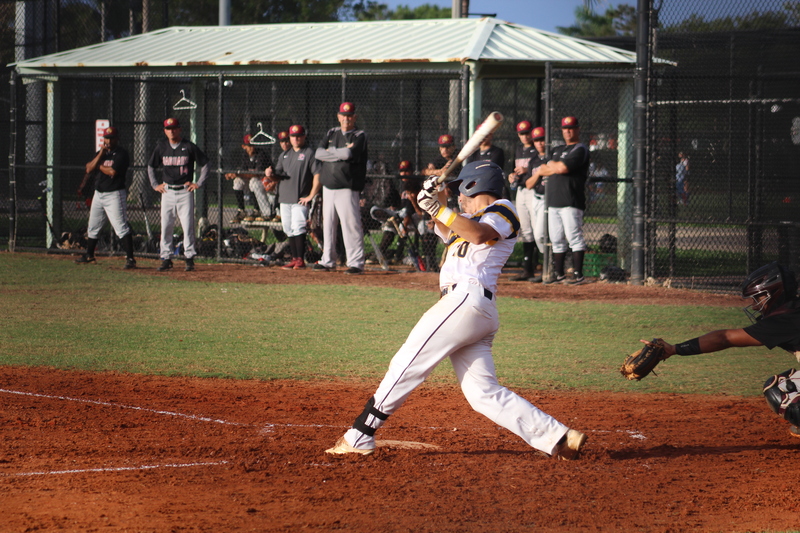 Senior first baseman Jake Nord hit a grand slam in the seventh inning to lead the boys varsity baseball team to win against Pembroke Pines Charter 14-4 Monday night. “I was looking for a fastball down the middle. I got the pitch I was looking for and put a good swing on it,” Nord said. The hit was Nord’s fourth home run of the season and his first grand slam. The team has an overall record of 15-5 and a district record of 6-2. “When I hit it, I knew it was gone,” Nord said. The team has a record of 15-5 and plays South Broward at home Wednesday night at 6:30 for the final regular season game and their senior night.